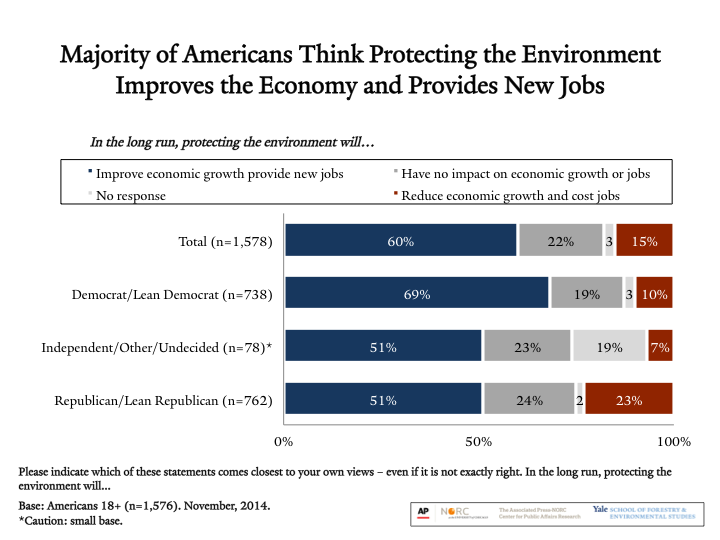 A large majority of Americans (60%) say that in the long run, protecting the environment improves economic growth and provides new jobs, while another 22% say that protecting the environment has no impact on economic growth or jobs. This chart comes from the the Yale AP-NORC Environment Poll. There is more detail about this specific finding here.